The link to register is at the bottom of the page. To answer possible questions and to prevent misunderstandings, please read the following information before registering. Registration for the Wild West Relay is a 4-step process. It is highly recommended you have financial commitments from your teammates before registering. Step 1 - Registration is online. You do not need to have a complete team - only the captain's contact information is required to register a team. Just follow the instructions and enter your team name, password, select your team's category, and your contact information. Step 2 - Select your Volunteer Option (important to understand before registering). If you choose the "Non-Profit Volunteers" option, payment is not made when you register; a separate invoice will be emailed to you as it is a tax-deductible donation to Volunteers With a Purpose, Inc. Step 3 - Select Payment Option. Payment is made online through PayPal/Credit Card or by check (payment by check is disabled the last 10 days of a registration period and for late registration). If you select the PayPal/Credit Card option, you pay immediately. If you select the pay by check option, you will receive an email with instructions for mailing in a check. Your one check must be received within seven (7) days or your registration will be deleted. Registration is not complete until payment is received. Step 4 - Database - Once payment is received, you will receive a confirmation by email and you can log into the database and enter your runners and volunteers. OR your runners and volunteers can enter their information by clicking on the Add runner/volunteer button. Each team member must have a valid email address as communications to participants and volunteers is via email. The database closes three weeks before race day - any additions or changes to your team's runners after the database closes must be submitted via a Substitution Form and has a $15/form fee. There is no fee for volunteer changes. You are able to edit all your team's information except for your Team Name and your Volunteer Option - those changes need to be emailed to the race director. IMPORTANT - We keep track of you through your team name, so in all correspondence with Timberline Events, please include the event you are doing and your team name. Thanks! A full roster is not needed to register your team but the entire team must be entered in the database before it closes 3 weeks before race day to avoid a penalty. Your team members do not have to be entered in the running order. Every team is responsible for selecting one of the two Volunteer Option. The volunteer requirement is waived for High School teams. Registration closes three weeks before race day or once the 150-team limit is reached. The minimum age for participants is fourteen. Participants between the ages of fourteen and eighteen as well as their parent or guardian will need to sign the waiver of liability. Each team's starting time is based on their average 10k time. Please submit a 10k time you believe you would be able to run at the time of the relay. Teams are self supporting. Teams are responsible for supplying their own food and water. The route is rural and at times very isolated. Thus, Emergency Medical Services will not be immediately available throughout most of the relay route. Thus teams will need to have a plan and possibly take matters in to their own hands as far as transporting an injured person to the closest hospital, directions to which will be included in the Relay Handbook. Each member of the team (runners, volunteers, and van drivers) will need to complete and turn in a waiver. These should be brought to the starting line. The waiver will be downloadable in PDF format and will be available on the Handbooks Forms & Logos page. Timberline Events LLC will do everything in its power to hold the relay as advertised, but due to the nature of the event, extenuating circumstances not under the control of the event organizers, may necessitate course changes, or even cancellation, for the safety of the participants. These circumstances include, but are not limited to: weather, flooding, and other forces of nature, last minute road closures and construction, or forest fires. 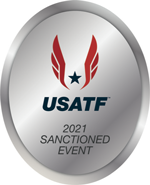 As the event has already had many expenses that can not be recouped, if any of these events do occur, the event will not be rescheduled for that year, and no refunds, credits, or discounts for future races can be offered. Once a team registers, there are no refunds, transfers, or deferrals to a future year. The database closes three weeks before race day. Have your entire team registered in the database before it closes to avoid penalty fees. Any runner additions or substitutions after the database closes must be submitted via the Substitution Form will result in a $15 fee per form. Each 12-person team supplies three (3) volunteers, Ultra teams and High School teams supply one (1) to staff the runner exchanges. Be sure your volunteers can be flexible. As the relay route is from Fort Collins to Steamboat Springs and takes place from early Friday morning until late Saturday afternoon, the race marshal assignments can be anywhere along the route and at any time during the relay (including the middle of the night). Volunteers and/or the Captain of their team will be able to select the time and location of their assignment from the available options online shortly after registration closes three weeks before the start. Please note that the non-profit groups are assigned to their exchanges prior to the team's volunteers being able to select their location. Teams can choose to make a tax-deductible donation to Volunteers With A Purpose [IRS 501(c)(3)] - these funds go to local non-profit organizations that provide volunteers for the relay as a fund-raising opportunity. Donation can be made online via PayPal - 3% is added to the donation total. ONCE THE NON-PROFIT OPTION IS SELECTED, A TEAM CAN NOT CHANGE TO SUPPLYING VOLUNTEERS AS WE ARE MAKING COMMITMENTS TO THE NON-PROFIT ORGANIZATIONS. At some point, we may run out of available non-profit groups. In that case, the non-profit option will no longer be available when a team registers, and teams will have to select the "Supply Volunteers" option. Teams can elect to be added to a waiting list in case we are able to find additional non-profit groups to participate. Many teams encounter the stress of volunteers backing out at the last minute and then have a difficult time finding a replacement. We have no way of knowing exactly what locations and time frames are going to be available until registration closes, so neither will you or your volunteers. If you make the donation, it's very easy on you - you'll have no other volunteer responsibilities! You'll be helping to make a difference by giving something back to the local communities the relay passes through AND your donation is tax-deductible. Ability to complete the course within the 35-hour time limit (a team average of a 10 1/2 minute per mile pace). Commitment to provide the appropriate number of volunteers or to choose the non-profit volunteer option. Once registration is accepted, confirmed, and paid for, the team fee is non-refundable, non-transferable, or able to be deferred to a future year. However a new captain can be designated from within the team roster. Teams are responsible for their behavior: quiet zones are in effect near residential areas, team vehicles and runners are not exempt from state traffic laws, and private property is being used and must be respected. Failure to abide by the relay rules could result in immediate disqualification. Headphones or ear buds are not permitted on active runners - runners caught wearing these devices will cause the entire team to be disqualified. Little speakers that clip on to your shirt or MP3 players that have built-in speakers are okay. A team is not considered registered until payment is received. (payment by check is disabled the last 10 days of a registration period and for late registration). Only teams choosing Volunteer Option #2 for the non-profit volunteers are required to make a tax-deductible donation to Volunteers With A Purpose, Inc. based on the following schedule. You will receive an invoice via email after your register. Once the non-profit option is selected, teams will not be able to change to supplying volunteers. At some point, we may run out of available non-profit groups. In that case, the non-profit option will no longer be available when a team registers, and teams will have to select the "Supply Volunteers" option. Teams can elect to be added to a waiting list in case we are able to find additional non-profit groups to participate. If your donation is not made by the due date, there will be late payment penalties. Late registering teams may be required to make their donation via PayPal/Credit Card. Donation amount was increased for 2018; this is the first increase since the program was started in 2005. Donation is based on just $35/runner for 12-person and Ultra Teams. *A team can decide to change from Volunteer Option #1 to Volunteer Option #2 up until 2 months before race day without penalty - you need to contact the race director to make this switch. **Only if non-profit volunteers are available. *** Teams who selected the option to supply their volunteers may choose to make a donation for individual non-profit volunteers if they are having problems filling their requirement. This option is only available if non-profit volunteers are available. The first price is if the request is made less than two months but more than three weeks before race day; the second price is if request is made within three weeks of race day. Start times are assigned to enable a smooth flow of teams across the entire relay route. Thus, teams of different paces could be mixed together. Requests to change an assigned start time can be made but the team will be charged $100 for that service unless it was our error. So please make sure the 10k times entered for your team are accurate. Any runner substitution or additions made to your team after the database closes three weeks before race day will result in a $15 fee per runner. Captains - by registering for a Roads Less Traveled Relay Race, you understand and accept the policies listed above. If you are a runner or small group of runners and would like to find a team to join, or you are a team looking for runners to fill out your team, please post a message on the Team Matching message board.